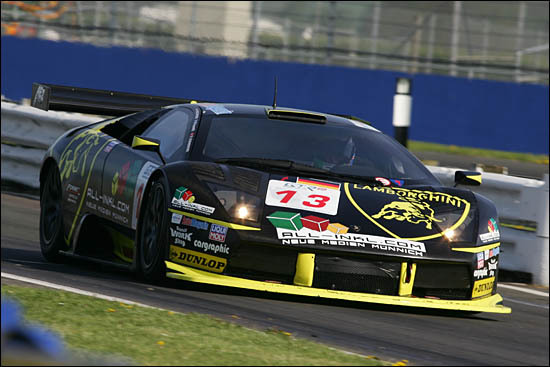 What a refreshing pair we had at the FIA GT event at Silverstone: the Swiss Benjamin Leuenberger and the Scot Marino Franchitti, driving Norbert Walchhofer’s B-Racing RS Line Lamborghini Murcielago. 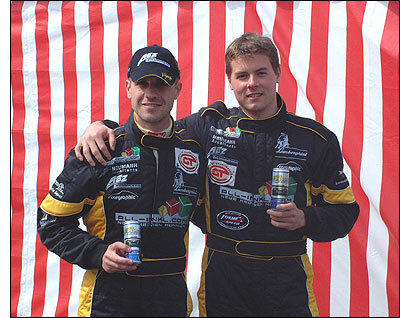 Herr Walchhofer is a splendid chap too - and he's got his own energy drink (held by both of the drivers, right). And then Norbert Walchhofer appeared as we talked – in the team’s ‘upside down bouncy castle’ of a hospitality unit. Why have you chosen these two drivers Norbert? “We have the best looking car, and the best two drivers! 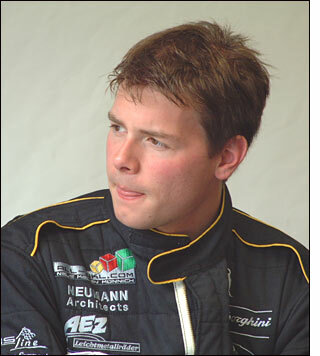 So how did you come to be invited to join them team at Paul Ricard, Marino? “It was really odd the way it started. A fan of mine sent me an email, through my website, telling me about this new team running Lamborghinis, and he thought it might be worth me getting in touch. I did, and the first time I met them all was at Ricard. 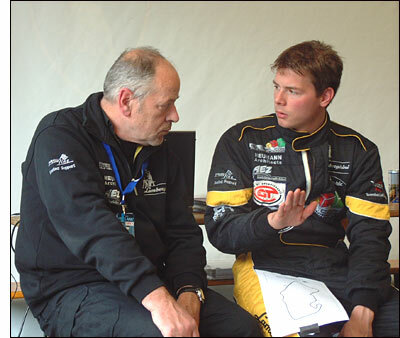 So Benjamin Leuenberger (debriefing, with Berndt Seibold in the next image) had a slightly earlier start with the team, but for various reasons, neither driver has really had any extended running with the Murcielago, at least until Friday at Silverstone. So how has the car been going at Silverstone? Benjamin Leuenberger, with the team for over two months now (! ), is slightly better positioned to explain where this team is heading. “It’s our first year, so ultimately we’re looking for good results, and we know that’s going to be tough. But maybe we can score a podium in the Le Mans Series. “Next year we’ll be a two car team, but this is a three to five year programme. 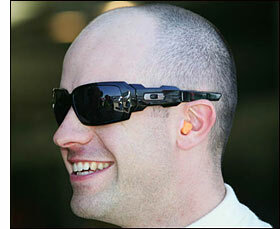 Norbert sees the big picture, so here, for example, he may not drive in the race. He’s prepared not to drive if it helps the team. The team owner will soon have a second Lamborghini at his disposal – it arrives this week – and although it won’t be to the full spec. 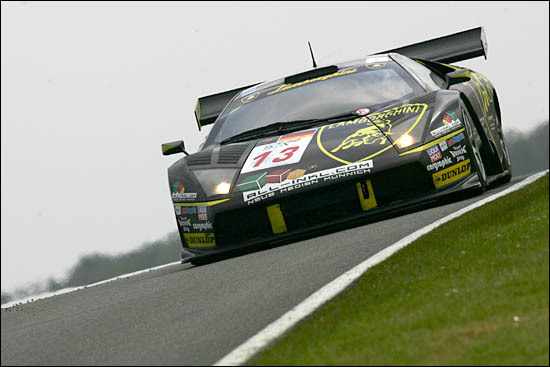 of the lead car, yet, it will allow the former Ferrari Challenge man to get in plenty of practice in a GT1 car. So let’s suppose for a moment that you two are racing together this year (see below), what can you two young chargers do for this team? These two are clearly out to make a difference – and the good news that emerged during the balance of the Silverstone weekend, and confirmed earlier this week, is that they’ll be racing together in the remaining Le Mans Series events – beginning at Spa this weekend (Christophe Bouchut had already signed to race in the FIA Championship – but oddly not at Silverstone, which gave Franchitti his chance). 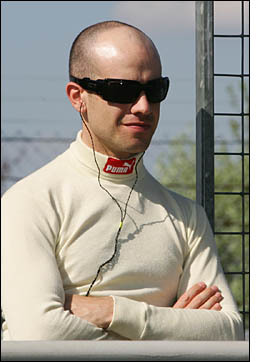 His Swiss partner had qualified on Saturday afternoon at Silverstone, but Marino Franchitti was the listed starting driver – and he had an eventful opening spell.